Use EasySchedule to book your primary care provider, urgent care, specialist or procedure appointment online. EasySchedule has now expanded into two ways to create online appointments. Read each EasySchedule section below to see which online appointment is right for you. Use EasySchedule to book your primary care, specialist or urgent care appointment. Choose a doctor or location. We aim to provide easy access to the best possible care in our community. 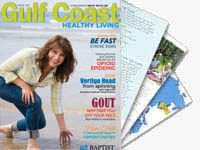 For your convenience, Baptist Health Care offers EasySchedule. This simple process allows you to schedule appointments with a primary care provider or urgent care location as well as schedule various procedures. Of course, if you wish to talk with one of our office team members, please contact us at 850.434.4080.